Former pupil at Ballthegan PS, Peter McGrane, visited his former Primary School today ahead of our Open Day on Saturday. Peter brought the Rannafast Cup with him, a trophy he had a huhe hand in winning. 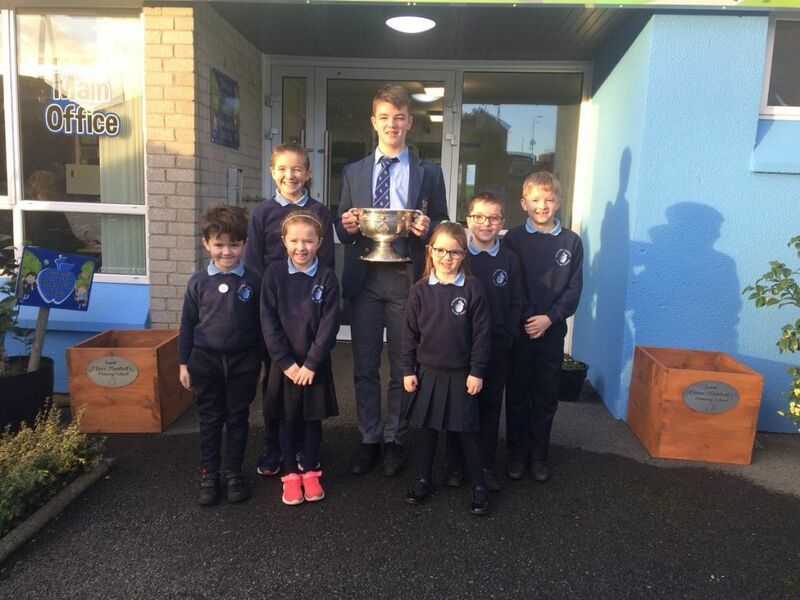 Peter is pictured here with his family members currently attending the Co Armagh school.